You would think when it comes to painting new plaster walls, very little preparation would be required, however sometimes this isn't always the case. If the new plaster looks dark and patchy in areas, this may mean the plaster is still damp/wet and will have to be allowed to dry out fully. This process could take several days or even a month, however if the building is well heated then it could only be a matter of weeks before painting can commense. 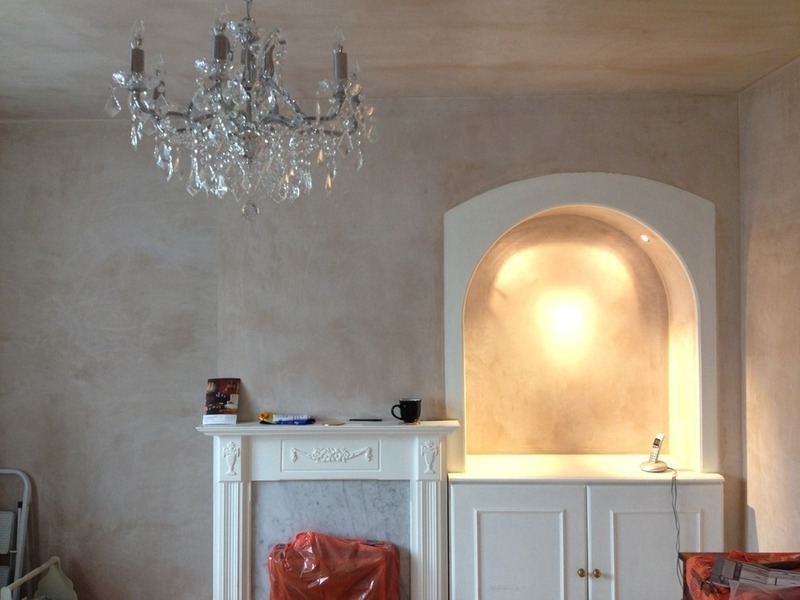 We now have to apply a coat of paint to the walls knows as a 'mist' coat.A mist coat is a waterd down coat of emulsion so it soaks into the plaster with ease. For best results use a non vynl matt emulsion and water it down by 30%. Once the emulsion has dried and formed a key, the walls can be sanded to remove any grit or imperfections on the surface. In terms of sandpaper, I would recommend using 120 grit to prevent scoring the new plaster too much.Now its time to fill any imperfections in the new plaster. These are often caused by the trowel scratching the surface. I personally use a ready mixed filler called Gyproc ProMix LITE, as it is easy to sand and doesnt shrink like many fillers on the market.